I am not the most organized mom in the school. I can fake being put together really well with homemade Halloween costumes, teacher gifts, and semi homemade kids parties. However I am also the mom that is signing forms the day the are do on the teachers back as she loads kids in a bus. 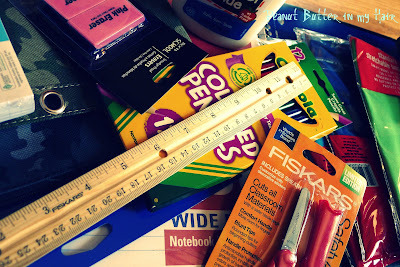 The mom who is always forgetting she said she would do something and the one who is asking to borrow a marker the first time we have cold weather because none of her kids stuff is labeled, ever, even though I have had a child in school for 4 years! Cheesy Lighting needed, they are like a ray of light! Thankfully Mabel's Labels has come to my rescue and all I can say is, why didn't I know about these sooner! I got them with my sons name since he has the most school supplies nowf that he's in first grade. We had so much fun labeling everything. He especially liked the Teeny Tag that we put on his backpack because It looks like an "army mans tag" (dog dag). 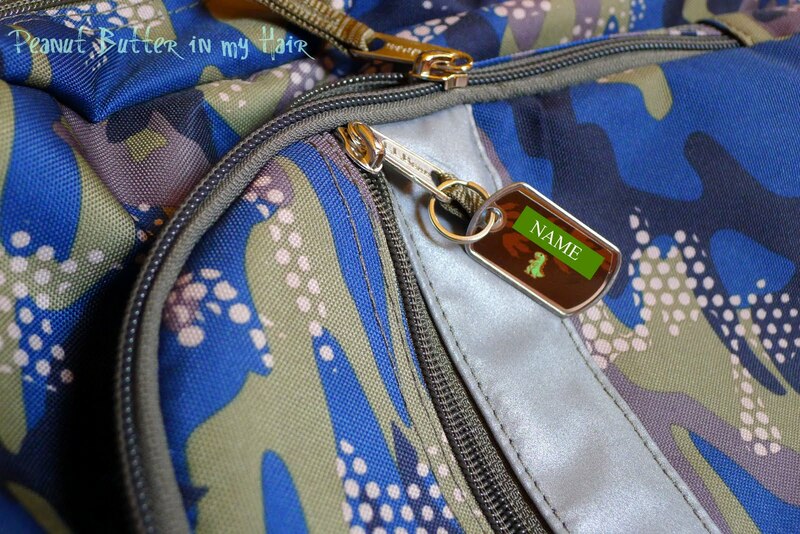 The tags all seem very durable (we've only been in school a week). I have washed the Skinny Mini's that I put on his water bottles (steel) twice already in the dishwasher and they are holding on tight. His shoe labels are also still in place even though he slides his foot over them several times a day. Really the only complaint we had was that they were a little hard to get off the sheet and I ripped the corner of one. We later discovered it was user error because I was pulling form the wrong side! 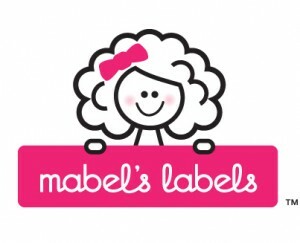 Mabel's Label's is a mom run company that developed out of their desire for quality products. So far I have been more than impressed with the quality of the products! The website is clean and simple to use. You can see exactly what your labels (all of them in the combo back!) will look like before ordering. This was such a help in the decision making process. 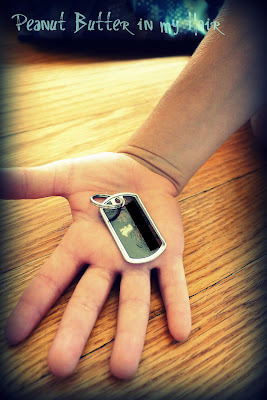 I Was originally going to get just our last name and some contact info on them so I could use them for all the kids. I decided it looked to messy and I'm glad I saw that before I got the product! I plan on ordering another combo pack for my daughter too. 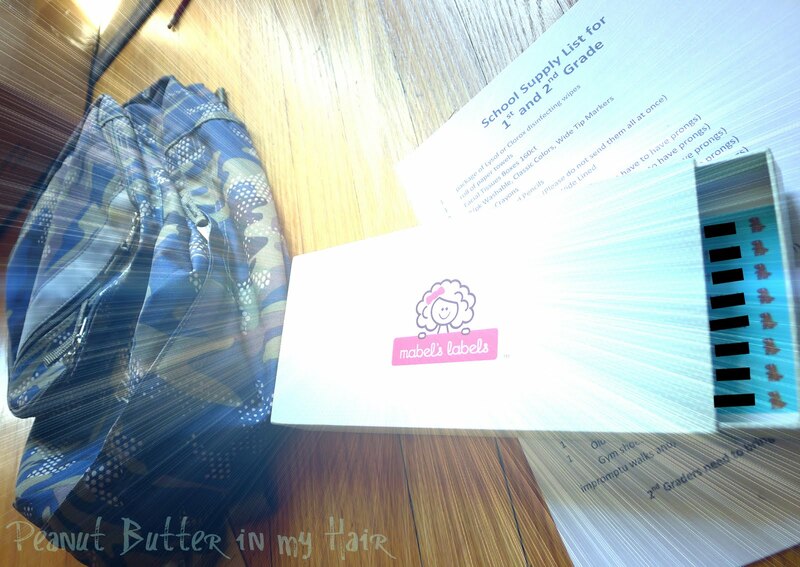 Mabel's Labels want you to look like an organized mom too! Comment on this post and tell me what is the one thing your kid is always loosing? My kids are always loosing their water bottles...m7ost recently my 14 yo lost his mouth guard that was attached to his football helmet...not sure a label would have helped us there. Socks. We are forever losing sock. Oy. Not winter on the horizon after fall again simply because of the lost socks. Oh Hy, I feel your sock delima. Socks are not only constantly missing but mixing the big ones and the little ones makes for such a mess. I would love to have this as both of my kids are under age 2 and have attended daycare. At this age, a lot of clothes and shoes look the same, so when they get taken off at naptime or to go outside, etc. things get mixed up or lost! My daughter is always losing her snack cups. These labels look like a great way to keep organized! My daughter keeps losing her blankie. My son is constantly losing his shoes and his hat. For some reason, he takes them off in different locations. Why not take off BOTH shoes at the same time and place?! My 3.5 twin girls are always losing their headbands!! My boys always lose their socks, shoes & sunglasses. The only thing she has lost so far is some hair, but if she is anything like me I can see her misplacing everything! My son is always loosing his baseball caps. And they are cheap so I wish he'd stop loosing them! You name it, my eldest will lose it! What a great giveaway - I'm in! my daughter is forever losing her sweatshirt! she is always cold in the morning. so she brings it to school but somehow it doesn't always make it back home! i have a very forgetful daughter! My Aunt has 4 young boys who lose EVERYTHING! I wouldn't be shocked if they came home with only 1 shoe on one day! My kids are always misplacing soccer items. My son is always losing his cups! Water bottles! They've been left at school, the park, you name it! Great give away! 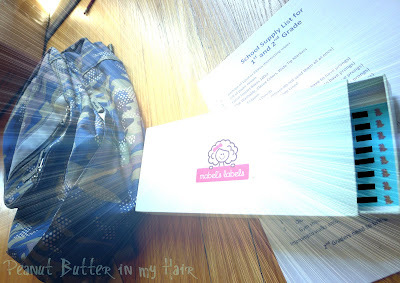 I've always heard glowing things about Mabels Labels! My 5 year old son loses scissors. I know,odd huh? And not a big deal for most but he is left handed. This year his scissors are going to school labelled with Mabel's labels. And I bought an extra pair of left scissors. My son has Autism and a few other neuro-issues, so what he loses most is whatever the aids at his school forget to keep track of for him, because they forget that, yes, the 6 year old who just read them the back of THEIR book that they left on the teacher's desk, is the same kid who a moment ago forgot how to coordinate his body to pull his own pants back up!